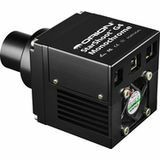 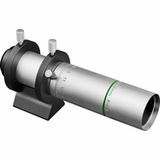 This compact guide scope is a perfect match for short focal-length imaging telescopes. 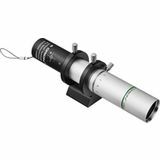 30mm aperture, multi-coated f/4.3 optics make guide star acquisition easy, while C/CS-mount threads provide flexure-free attachment of compatible autoguiders. 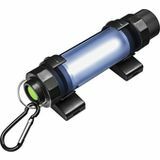 Multi-purpose device emits stargazing-friendly red light and brighter white light to illuminate your astronomy gear, camping site, and more. 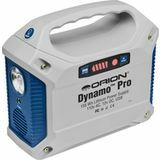 Waterproof and dustproof, the rugged DualBeam Astro Lantern can also recharge cell phones in emergencies. 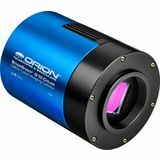 Orion can guide you to better astrophotos with our CT80 80mm Refractor StarShoot AutoGuider Package. 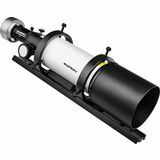 This complete autoguiding solution comes with the StarShoot AutoGuider, CT80 80mm Refractor Optical Tube, Guide Scope Rings, mounting bar and more! 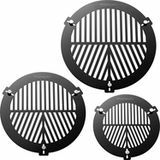 Also known as Bahtinov masks, Orion PinPoint Focusing Masks produce a distinct, intersecting 3-line pattern once accurate focus is achieved in any type of telescope. 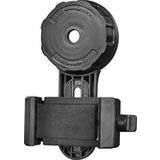 Three Orion-exclusive adjustable padded pegs provide a secure grip.